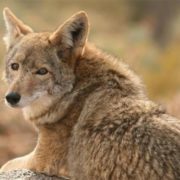 The coyote is a wild member of the dog family. 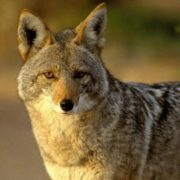 The name coyote comes from the Aztec name Coyoti. 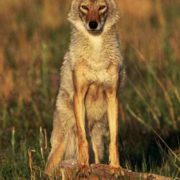 The Latin name for the coyote is Canis latrans which means barking dog. 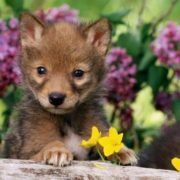 The coyote is sometimes called the little wolf God’s Dog, brush wolf, prairie wolf, and the Songdog. 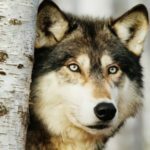 It is known for its cleverness and its nighttime howls. 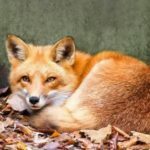 They live throughout the continental United States. 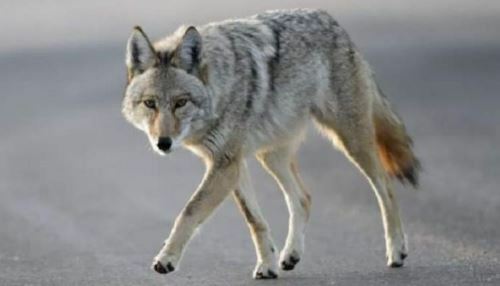 Coyotes are similar to wolves, but they are smaller and more lightly built. 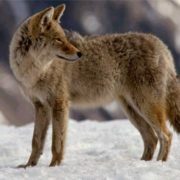 Most adult coyotes weigh 9-23 kilograms and are 1-1.2 meters long, including the tail. 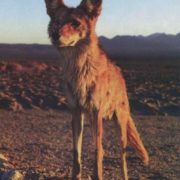 Most coyotes are grayish brown with white on the throat and belly. 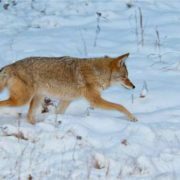 Coyote fur is long and soft and grows heavier in the winter to protect it from the cold. 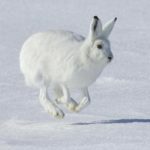 They are nocturnal animals and often hunt alone, typically for rodents and hares. 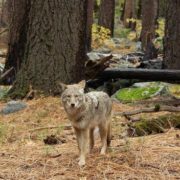 Groups of coyotes may chase larger animals such as sheep. 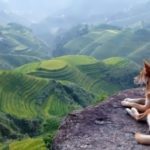 These animal also eat plants, insects and dead animals. 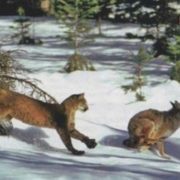 The most surprising thing is that sometimes coyote takes an animal of a completely different kind, for example badger, as a partner for hunting. 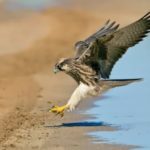 American zoologists somehow witnessed the next scene. 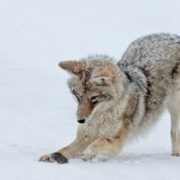 Badger and coyote were hunting together on a marmot, or meadow dog. The badger, in fact, was digging the ground, and the coyote guarded the emergency exit. 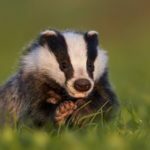 When the inhabitant of the hole could not stand the badger’s penetration into his house and jumped out he immediately found himself in the mouth of a coyote. 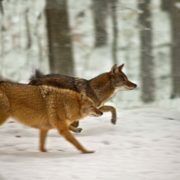 In captivity they live up to 18 years or even more and in the wild up to 10 years. 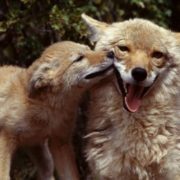 The coyote pair sometimes stay together for life. 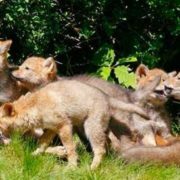 Both parents look after the pups. 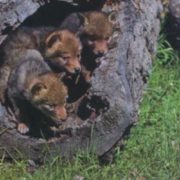 The young live with their parents for as long as three years. 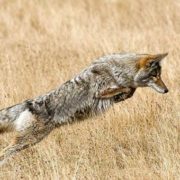 The coyote is one of North America’s fastest land animals, with a top speed of 64 kilometers per hour. 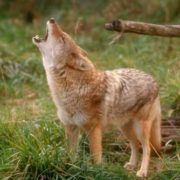 Coyotes are one of the most vocal animals of the wild. 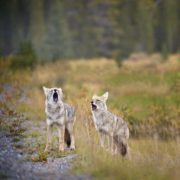 Through a series of howls, yelps and barks, coyotes communicate with each other. 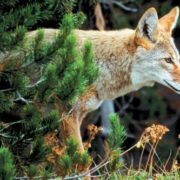 Coyotes are able to control their own population. 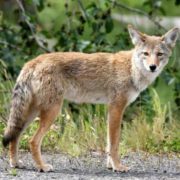 Coyotes hunt on domestic animals. 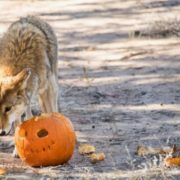 That’s why humans cause 90 percent of all adult coyote deaths by hunting, trapping, poisoning, and also automobile accidents. 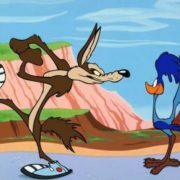 The coyote always enjoyed great respect among the Indians. It is an outstanding character, occupying an important place both in religion and in the mythology of most Indian tribes.